The Space Foundation is the world's premier advocate for all sectors of space and a global, nonprofit leader in space awareness activities, educational programs, and major industry events. Beutler Ink helped the foundation design its annual report, complete with a two-page infographic outlining its mission and operations. Clearly conveys important information to an audience of industry leaders, policy makers, and corporate partners. 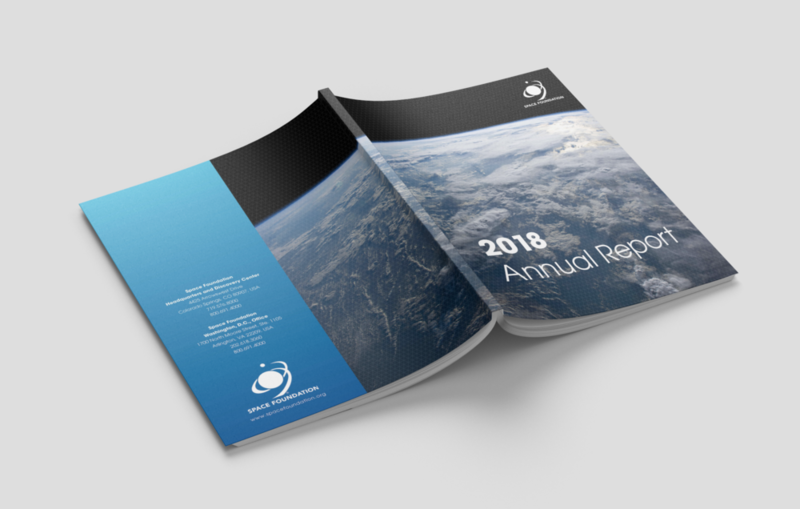 The infographic serves as the report's centerpiece, using a solar system framework to explore the Space Foundation's mission and operation and highlight key data points and accomplishments. 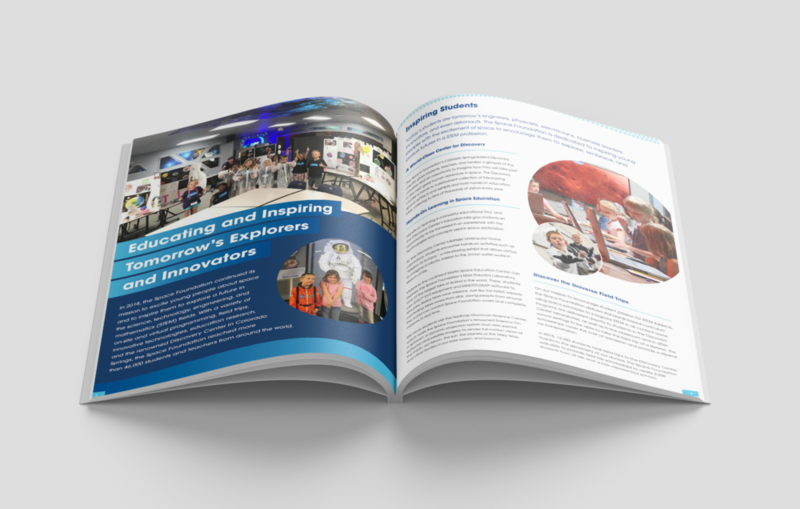 This report was printed and shared at the National Press Club's State of Space 2019 event and a digital version, including an animated version of the infographic, was posted on the Space Foundation website. "I’ve had the fortune of working with the Beutler Ink team for nearly a decade – first at the US Chamber of Commerce Foundation and now at the Space Foundation. Regardless of the challenge in presenting dynamic or complex content in unique ways, or meeting tight deadlines, the Beutler Team has been amazing to work with! Everything that they’ve produced for me has been nothing short of superb and has always made my programming and content even more impactful. They are fun, engaging and a joy to work with and I consider them the best of partners to have regardless of the assignments I bring their way."